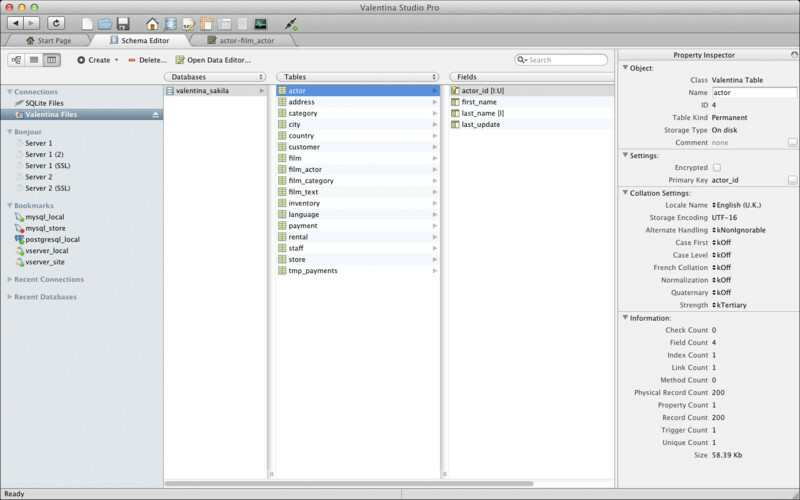 Valentina Studio is a free multi-connection Database Administration tool that allows you to connect to PostgreSQL, Valentina Server and mySQL, and work with local database files of Valentina DB and SQLite. Why pay for less, or a bunch of individual utilities that only handle one database format? 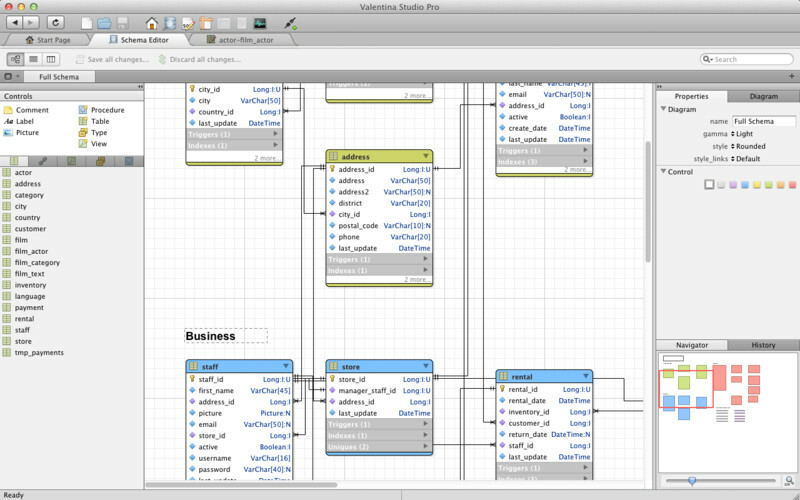 * Diagram Editor - design new diagrams or do reverse engineering, e.i explore existing databases visually. * Server Admin - where you can manage users, learn logs and other parameters of servers. MAS version of Valentina Studio uses iCloud to share bookmarks and recent connections between your devices! 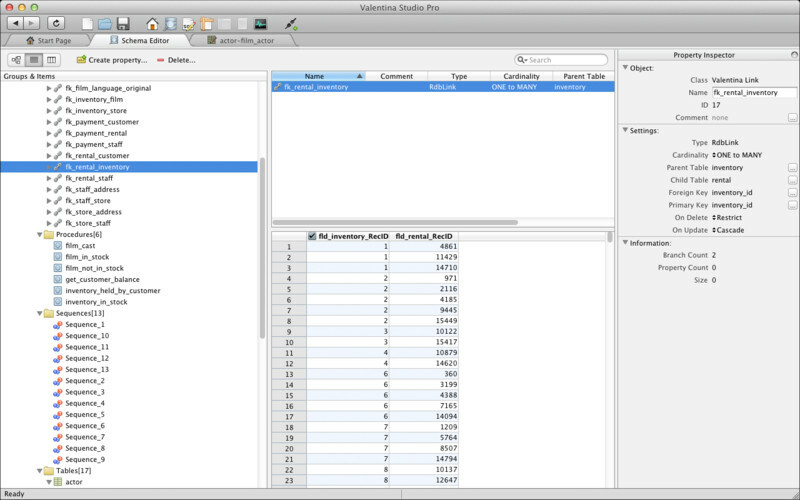 * Report Editor - visual editor of Valentina Reports that can be saved into Valentina Project file (.vsp). Reports can use as datasource mySQL, PostgreSQL, SQLite, Valentina DB, ODBC. * Diagram Editor - enables forward engineering - i.e. generation of SQL scripts for new/changed database objects. * SQLDiff - find differences between two states of a databases and generate SQL script to move between these states. * Data Transfer - copy records of few/all tables of db1 to corresponded tables of db2. * Import from xCode model to assist in coverting CoreData into other SQL schemas.